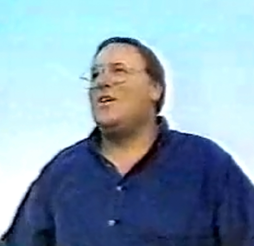 A still from the segment on Rescue 911 that told the story of the first shooting. Today marks the 15th Anniversary of my father’s death. This is insane because I was 19-years-old when he died. (I’ll wait while you do the math.) I’m fast approaching a time when it will be longer since he’s been gone than the time I had with him. And yet, in a lot of ways, it feels like his death was just last week. Coincidentally, I wrapped up my latest revision of the manuscript for my memoir today. (I’m not yet ready to talk about WHY I did another revision, but suffice it to say that this is a significant day for more than one reason.) The one passage I think I’ve struggled with the most over the course of my many, many rewrites hasbeen the one where I describe my thoughts and feelings immediately after finding out Dad had been killed. Getting down on paper the various odd, monumental, despairing, uplifting, cynical, hateful, joyful and, ultimately, peaceful things that went through my head that night has just been an absolutely huge challenge. How do you take people on that journey with you? What words could possibly communicate those feelings? It helps that my memory of that night is about as clear as any memory I have, but still… it’s been a challenge. I was in a unique situation when it happened. I hadn’t actually seen him in the flesh for 10 months. I was serving as a missionary in Arizona, off in my own little world of cacti, no grass and a big, hot sun. When the call came in, I had just gotten home from a long day of knocking on doors and riding my bike and looking ridiculous with my helmet and tie ensemble. I couldn’t have been more shocked by the news–nor less surprised. There’s a hope and a responsibility that comes with knowing, and I’m glad Dad had the wisdom to tell us what was coming. My life hasn’t been the same since, but I can’t honestly say it’s been for the worse. Dad’s death marked a moment in my life when I stopped being who I was and became someone else entirely. We don’t get many moments like that, but when they come–however they come–they are an opportunity, I think. To grow, to change, to reassess, to gain empathy and understanding and experience. I hope I’ve taken advantage of that opportunity fully. I think that’s pretty much the point to life in general. I’ll go visit his gravesite later today. I know he’s not there, but that’s as good a place as any to reflect and remember. And to be grateful. I figured I’d see this on your blog today, and I’m glad I do. Even though I was three weeks shy of 11 years old (true story) when he died, it was a life changer for me too. Though in a very different way, I’m sure. For me it was a matter of trying to go back to fifth grade and being treated like the other kids…because I wasn’t. I remember having a brief conversation with my Middle Eastern friend about how my dad was still alive in spirit. I sounded weird, and I felt weird, and I went on home school for the rest of that school year. It was a strange crossroads of feeling alone, being treated like I was alone, wanting to be alone, and not wanting to be alone all at the same time, and I didn’t know which to accept. I wrote a journal entry this past week about video games. In preparing for Skyward Sword (which I now have, and which is absolutely incredible), I reflected on tons of memories I have of video games over the years, and most of the early ones include Dad. Like when he pummeled Evander Holyfield on the Genesis, or how he used to stay up late playing Civilization on the computer. I remember also when I got Ocarina of Time from Mom for my birthday in 1998, something she never would have done and which probably would have been from Dad had he been alive. I remember feeling very grateful for that. Anyway, that’s my two cents for today. I’m excited to read a final draft of the memoir!